Bhubaneswar: Odisha’s ace para shuttler Pramod Bhagat brought laurels for India in general and Odisha in particular by winning gold in Men’s Singles category at the second Fazza Para-Badminton International 2019, which was held in Dubai from April 2 to 7. Pramod pocket the yellow metal after defeating England’s Daniel Bethell. Despite losing the first set 15-21, the ace shuttler came back strongly (21-18 & 21-13) in the next two sets to clinch the gold. According to reports, by winning the match Pramod qualified for the Tokyo 2020 Paralympic. The Indian contingent bagged four gold, three silver and two bronze medals in the tournament. 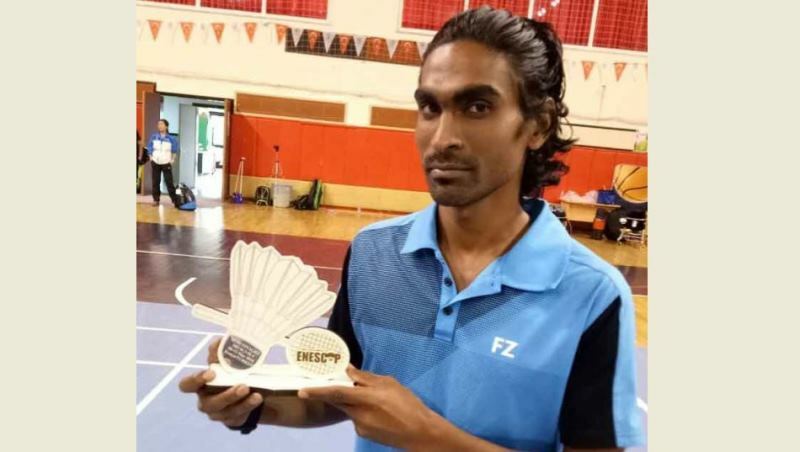 Bhagat, who hails from Odisha’s Bargarh district, had won two medals at the 5th Turkish Para-Badminton International- ENESCUP 2019 at Antalya in Turkey last month. He had won a gold medal in the men’s single’s event and bronze medal in the men’s double’s event. The 5th Turkish Para-Badminton International- ENESCUP 2019 was held between March 24 and March 30.